1. I don’t know what a physiotherapist does. 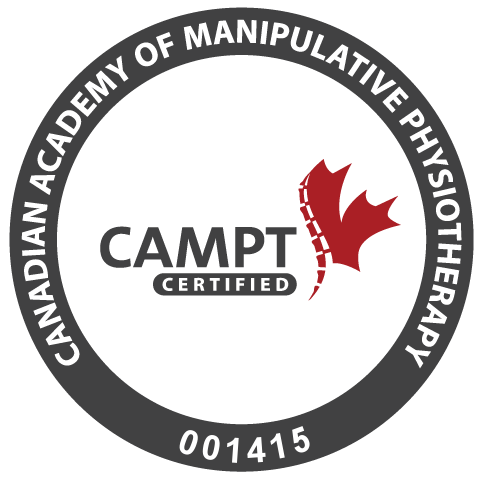 Physiotherapists are trained in movement. You could benefit from seeing a physiotherapist if you have pain or limitations while doing a certain activity or movement, if you had to alter your usual actives because of an injury, or even if you want to prevent an injury before you start a new activity. 2. How do I know if it is too early or too late to see a physiotherapist? Research has shown it is best to visit a physiotherapist 2-4 weeks after your pain, injury or limitation starts. It is much quicker to resolve an injury if we stop it before it has been occurring for a while. However, don’t worry if you don’t make it to a physiotherapist this quickly. I have had patients come to me after 15-20 years of being in pain, and have had good results. 3. I don’t have enough time. If you work in downtown Ottawa then I have the solution for you. We have an efficient 30 minute treatment timeslots that you can fit in before or after work, during lunch hour, or in between meetings. We are convenientlylocated at 130 Albert Street, a short walk from any downtown office building. 4. It’s too expensive. Physiotherapy can be expensive, but it is covered under most private insurance plans. Because physiotherapy has a large amount of research to support it, most insurance plans allocate a significant amount of funds towards physiotherapy treatment. Research has shown the combination of Hands-on therapy and exercises (which I provide) has more successful recovery in fewer number of treatments, using less of your personal income or insurance coverage. 5. I've heard it is painful. Though some treatment techniques can be painful, I work within your pain tolerances to make sure you aren’t uncomfortable. I do not proceed with a treatment or technique without checking to make sure you understand what the treatment entails, and that you are ok with it before proceeding. 6. I haven’t seen my family doctor to get a prescription yet. You don’t actually need to see a family doctor to see a physiotherapist. You may not even need to see one to get the treatment covered by your insurance company. If your insurance does require a doctor’s prescription for physiotherapy coverage, often these prescriptions can be retroactive, which means you can see the physiotherapist and start treatment before you see you family doctor. Check with your insurance company to confirm the requirements of your policy. 7. I can’t find a clinic that is at a convenient location for me. For anyone working downtown Ottawa, we are conveniently located at 130 Albert Street. We are a short walk to all downtown Ottawa offices. My hours range from 7am to 7pm. The appointments are 30 minutes long, and we don’t require that you stick around and do your exercises or any ice/heat before or after so it won’t take up a large part of your day. You can schedule treatment between meetings and not skip a beat!